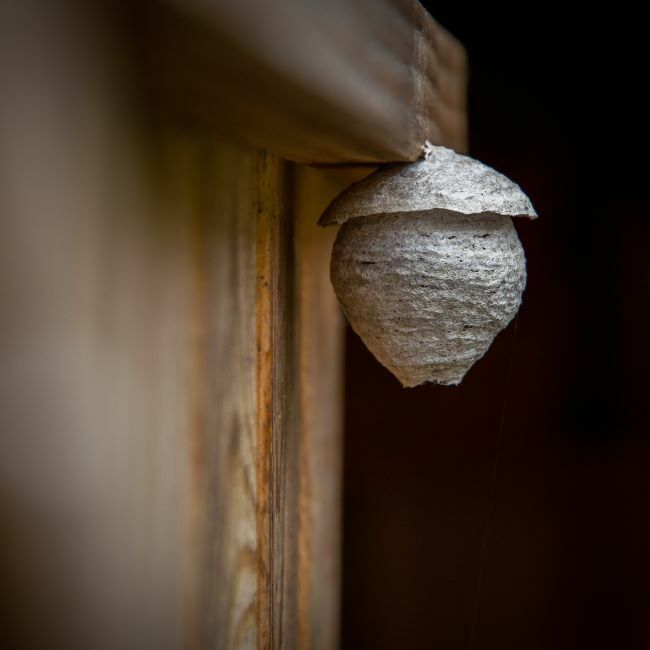 Having a wasp nest around your home can be very dangerous for your safety and that of your loved ones. That is why you need to call a wasp exterminator as soon as you see them hovering around your house, or worse, inside your home! 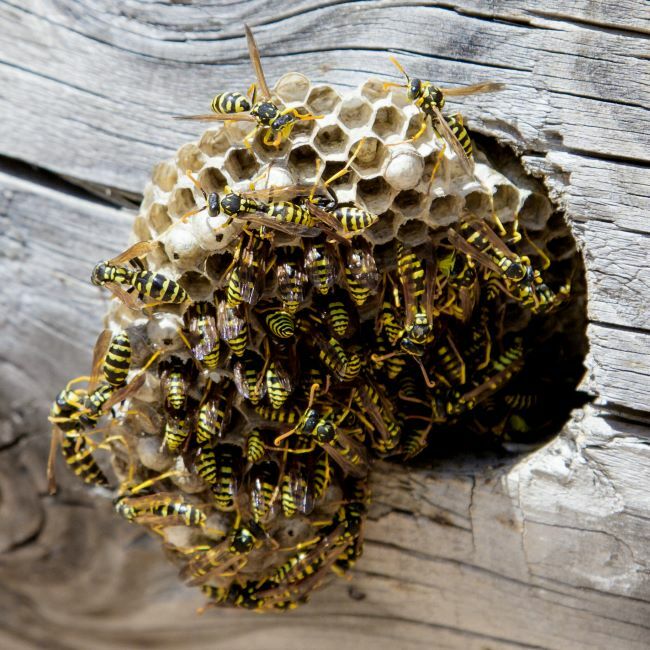 Not only do wasps sting when they feel threatened, but they also reproduce quickly during their active season, so if you do not act, the situation will most likely worsen until it becomes uncontrollable. The premier wasp exterminator in the Gatineau region and its surroundings, Outaouais Animal and Pest Control is a young and dynamic company, equipped with the latest technologies to definitively get rid of your wasp nests. Whether the invaders are visible or invisible, easy to access or out of reach, our wasp exterminators have all the equipment and products needed to eradicate them safely and at a very affordable price. We offer prices unmatched by all the competition in Ottawa / Gatineau. We advocate the safety of our clients first and we are very sensitive to people who are allergic to wasps. That's why you can count on our wasp exterminators to act quickly and prudently in an emergency. 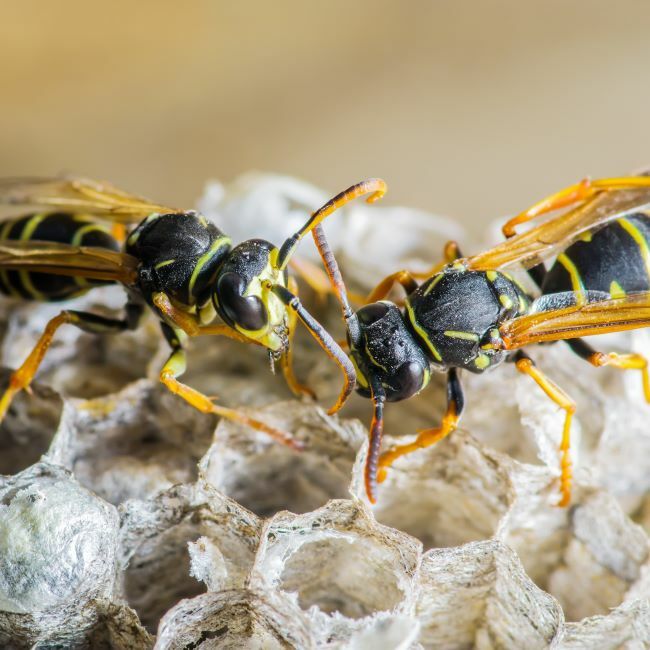 Our wasp exterminators are familiar with the behaviour of the species and know how to react quickly to destroy the nest and ensure its occupants do not return. Once the work is completed, our wasp exterminators apply a residual insecticide, which continues to function for weeks, deterring the wasps that want to return to the same place. All our wasp treatments are guaranteed for the entire season.